You already know that in order to reach your goals, you need to be steadfast, overcome obstacles and setbacks, and visualize success. It’s called perseverance, and it’s critical for achieving that next level of success. Can Dedication Hold You Back? Yes. Sometimes the key to moving forward is letting go of philosophies, behaviors or habits that might be holding you back. Never giving up and being determined is important, but sometimes remaining dedicated to something from your old way of thinking and acting can in fact slow you down. How Do You Know It’s Time to Let Go? Look for these thought patterns. They may be a good indication you need to change something up or leave behind altogether to fit your new successful outlook. One of the most important aspects of achieving a goal is actually wanting to do it. If you don’t have the enthusiasm for a project, a career change, law school, whatever it is, you’re not going to invest the 110% effort it will require to plow through the obstacles and setbacks. No one likes to be “forced” to do something they don’t want to do — it’s a trait we’ve had since childhood, and it carries over into our adult lives as well. Just think of all your least favorite chores — does anyone like to take out the garbage? If your goal feels forced — like something you “should” accomplish versus something you “want” to accomplish — you’re already at a disadvantage. This can be particularly true if outside influences such as your spouse, parents, friends, coach or boss have made you feel like you should accomplish this goal. Success doesn’t look the same for everybody – find your own personal success you actually want to achieve! I promise you, if you figure out a lofty (but realistic) goal you really want to accomplish, you will. Here’s a line of thought I want you to avoid: Thinking you must achieve that one-very-specific-goal in order to feel successful or find happiness. Hanging your entire success and future happiness on a single, narrowly-defined goal prevents you from recognizing new opportunities or outcomes that could be even more satisfying than your original goal. Let’s say that when you were in high school or college, you wanted to be a professional tennis player – the next Chris Evert, Andre Aggasi, Serena Williams or Roger Federer, depending on your generation. Well, if you didn’t make it to Wimbledon, would you just give up and not pursue anything else for the rest of your life? Of course not! You might parlay your love of the game into being a coach or business manager, or you might transfer your competitive spirit into sales or marketing in the tennis industry. There’s more than a solitary path to success, so don’t force all your future happiness on the shoulders of a single goal. Keep an open mind and be willing to consider new opportunities related to your original goal. Nobody likes to fail, and it’s easy to get “stuck” on a certain action or moment in your life when something went wrong. And it’s completely fine to study a past failure and identify how it could have been handled differently – it’s actually what you should do so you can learn and grow! But once this has been accomplished, it’s time to let go. Dwelling on past behavior doesn’t change the past — but learning from it changes the future. So instead of letting setbacks slow you down, let them energize you! You’ve learned something so now you’re better prepared for the next hurdle. Of course you’re going to encounter moments of doubt or obstacles that seem unsurmountable while on your journey to success. The key is to identify if it is a temporary “bad day” feeling, or the goal you originally sought needs some tweaking. Keeping a journal can be one way to track your thoughts and spot the difference. So when I say “never give up,” that doesn’t mean stay on a dead-end path no matter what — it means never give up trying, learning and adapting! 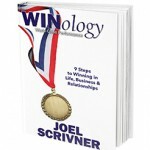 Learn more about achieving more than you ever imagined in life by incorporating my 9-step strategy to winning, WINology! 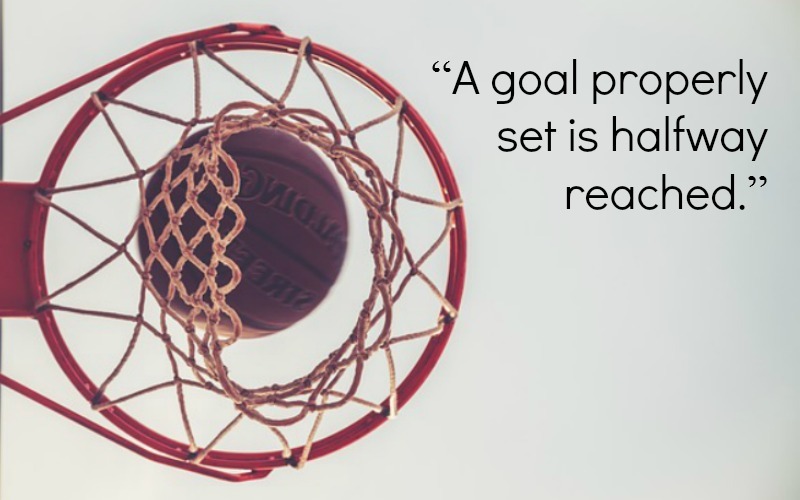 Have you ever had to modify your goals? Let us know in the comments section below! You've been working toward a goal but maybe you're running out of gas. Here's how to identify when to change things up.